Lilibet Foster is an Academy Award® Nominated filmmaker and multiple-award winning director, producer and writer of feature documentaries, television programs and integrated brand campaigns. Her recently completed film, “Be Here Now” (The Andy Whitfield Story), opens in theaters nationwide, starting on April 8th in New York City and April 15th in Los Angeles. It was the 3rd most successful documentary campaign in Kickstarter history, and has already earned the Los Angeles Film Festival Audience Award for Best Documentary, where critics hailed it as “…not to be missed,” Spa City Best Documentary Nomination at the Hot Springs Film Festival, and was featured at the Santa Barbara International Film Festival. The film has close to 2.6 million viewers of its trailers and followers across social media, BeHereNowFilm.com and major national and international press outlets. She received her Oscar® Nomination for producing feature documentary, “Speaking in Strings,” about world-renowned violin virtuoso Nadja Salerno-Sonnenberg. Her previously produced film, “Soul in the Hole,” about a talented point guard and the irrepressible coach of his Brooklyn street basketball team, won the Independent Spirit®: Truer Than Fiction Award. 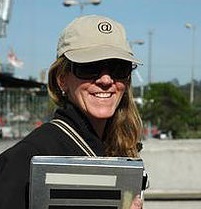 Her feature documentary, “Brotherhood: Life in the FDNY” was launched in a Gala Premiere at the Tribeca Film Festival and received widespread critical acclaim, as did her film adaptation of Mark Crispin Miller’s theater performance, “A Patriot Act.” Additional accolades her work has earned include, a Cable Ace Award and International Documentary Association (IDA) Nomination; an Honorary Webby and iFilms Best of the Net Awards; Audience Award for Best Documentary and Jury Prizes from the Los Angeles, Newport and Paramount Studio’s WIN Film Festivals; Official Selection in competition and screenings at Sundance, Santa Barbara, Hot Springs, Chicago, Berlin, Rotterdam, Hamptons, Full Frame, Seattle, Locarno and many more international film festivals; and Top Film of the Year nods by “Premiere” and the “Village Voice. From the Virgin Islands, Lilibet is a principal of production companies, Asphalt Films Entertainment, Be Here Now Productions, and the Soul in the Hole Foundation that assists at-risk teenagers, in New York City. I aspired and still aspire, because it is a constant learning process, to be a good storyteller in the cinema verite documentary style. When I first started out, I most admired and was inspired by the films made by the masters of Direct Cinema in the US, Robert Drew, Richard Leacock, D.A. Pennebaker and the Maysles brothers. The feature documentaries that I have produced, as well as directed and produced, although they are not pure verite films, follow the stories of remarkable individuals through some important times of their lives. This is especially true with “Be Here Now” (The Andy Whitfield Story), which has been the most transformational experience for me as a filmmaker, because of the trust that Andy and Vashti Whitfield gave me to follow them on their personal journey. I hesitate to even call this or any of the others “films” which seems either trivial or not descriptive enough because they are stories about real people, faced with major challenges. It is humbling and a huge privilege to be able to tell these stories. For me the observational style of verite is what I hope brings us most closely to our own individual as well as shared human experience. And, in their telling, they often shed light on universal or topical subjects, issues and questions and reveal life-lessons. I’m not the best at anything. As I mentioned above, similar to what I enjoy about pursuing cinema verite style filmmaking, is that it is all a constant learning process. My close relationships are very important to me especially my husband, family and friends. They help me to make my goals come true, but also remind me to stop, try to live in the present and appreciate all that I have. 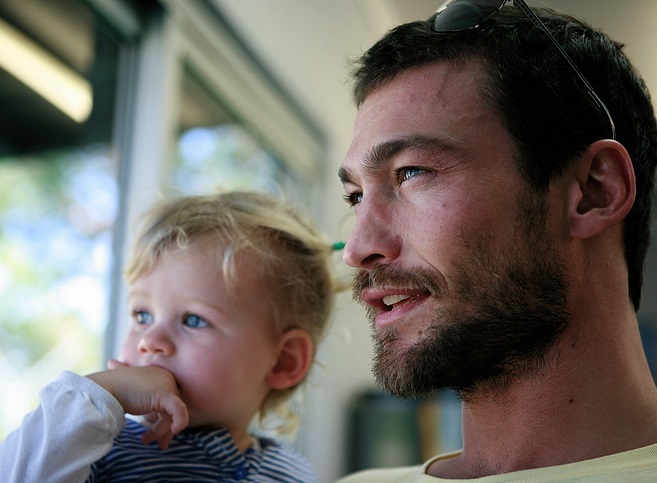 I also learn from the people’s lives who I follow in my work, especially Andy and Vashti Whitfield and “Be Here Now” (The Andy Whitfield Story) who have had the most profound influence on me personally because of their inspirational their way of living which I hope that I’ve captured and convey in the film. I may have already answered what my aspirations are overall, but if I add what they are at this moment – it would be to fulfill Andy’s hope that by sharing his story in “Be Here Now” (The Andy Whitfield Story) which is coming out in theaters starting on April 8th, will inspire others to make the most of this incredible life we are given. And, spend more time with my husband. I am humbled and honored for some of the awards my work has earned, such as the Los Angeles Film Festival Audience Award for about to be released film, “Be Here Now” (The Andy Whitfield Story) (which was also the third most successful documentary on Kickstater), an Academy Award® Nomination, Independent Spirit: Truer than Fiction Award, Honorary Webby, Cable Ace and others. I’m working on personal successes and this will take me a lifetime, so check back in bunch of decades. One of my most challenging moments was when I directed and produced the film “Operation Fine Girl” about women and children being used as weapons of war in Sierra Leone, for Oxygen Television and the human rights group, Witness. The biggest honor was to be able to tell the personal stories of three young women and one child soldier, whose stories revealed the larger issue of abuse and represented the experiences of thousands of others, during this brutal civil war. Over two trips, with a tiny crew and the invaluable partnership of one of the most amazing people and human rights leaders on earth, Binta Mansaray, we filmed across the country. This included setting up as carefully as was possible (because several journalists had been killed), and then traveling to rebel held areas to film in the towns, and interview and confront the leaders of the biggest rebel force. This was all challenging and we had several plans of action in place, especially if my interview started to go south. It also happened to be Bob Marley’s birthday so afterwards, we were invited us to join their nighttime party. We declined but it did add some levity to our trip overall. My husband and family – I am fortunate to have them as well as close friends as my favorite people. Where I’m from, St. Thomas, and the rest of the U.S. and British Virgin Islands, New York City and of course, Italy. Anything deliciously, comfortably or aromatically organic. I am passionate about my husband, my family, friends and my work and I really enjoy sailing. I’ve always wanted to take comedy writing classes (or even witty writing classes) because I admire those who are good at it and appreciate their ability to give us all some levity in the world. But, then I found out that it is difficult to become funny by simply taking classes. So, at least for now, that’s on the back burner.